For some reason it feels like it’s been forever since I sat down and wrote a blog post… which is weird because it really hasn’t been that long. We’ve just had a lot of life happen in the last week and it feels like it’s been a month, and not a mere seven days. We started physical therapy for Ella and Rosie to give them that final push to start walking (hopefully they start soon! My arms are getting tired! ), and Kit is starting preschool. I feel a little emotionally tired to be honest. These changes are good ones, but I struggled with both the decision to put the twins in therapy, and to start Kit with preschool at the age of three. I’m feeling confident now, but the process leading up to starting these things was a bit emotional. I imagine I’ll feel this way pretty constantly until the girls are grown… no one ever told me how hard it is to make decisions that affect other people’s lives ha! But let’s get to today’s post shall we! 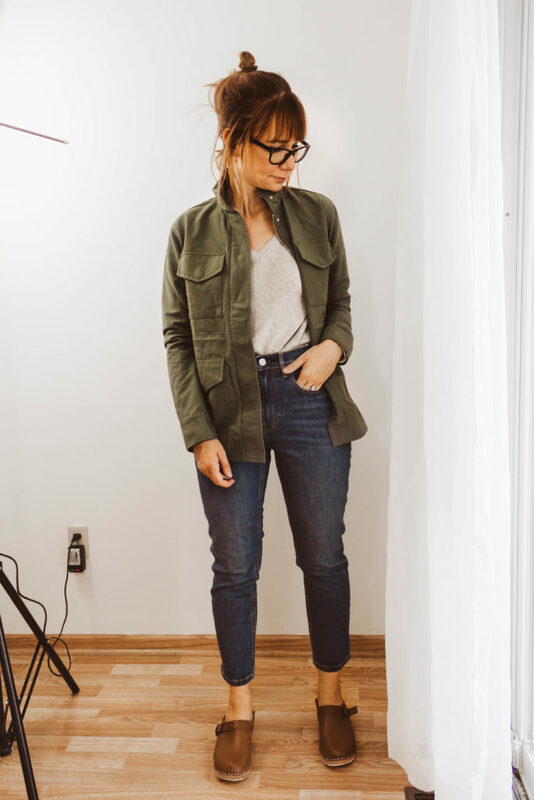 I’ve never done a post like this, but now that I’m done sharing an official capsule wardrobe with you at the beginning of each season, I wanted to find a way to share some of my favorites from my fall wardrobe. 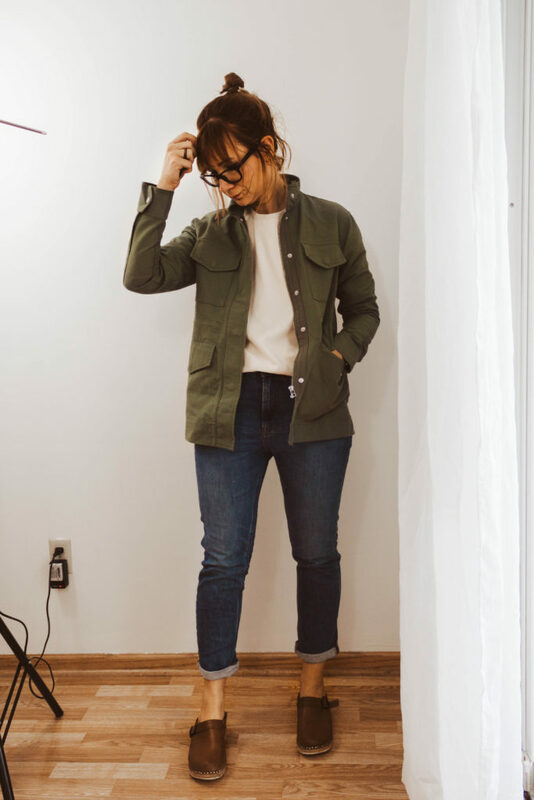 at the start of each season I always take my fall clothes out of storage and try them all on. 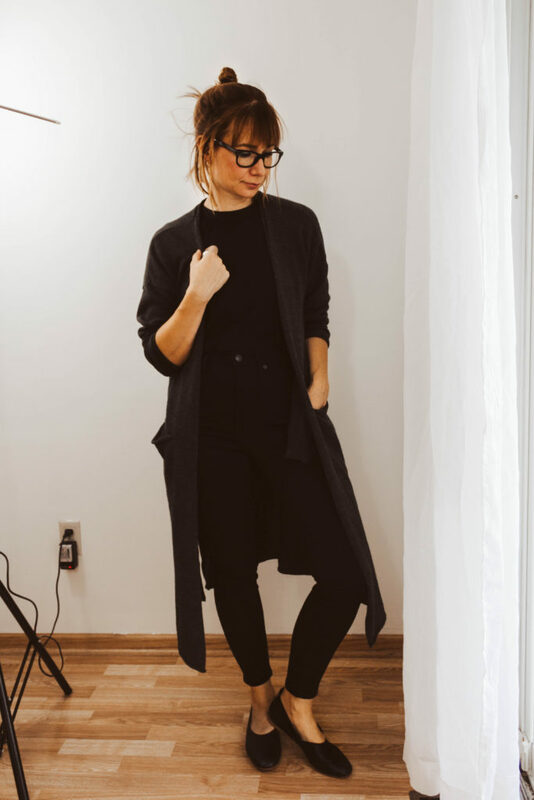 I put together different outfits, and just basically shop my closet! b:: it gets me really excited for a new season! So I thought I would just do my best to capture that process for you guys. just one afternoon while the girls were sleeping, I pulled out my camera and took some photos. Some of these clothes are new, some of them were gifted, some I’ve picked up over the spring and summer, and some are old. But they’ve all been acquired slowly and with thought… no massive shopping sprees here. 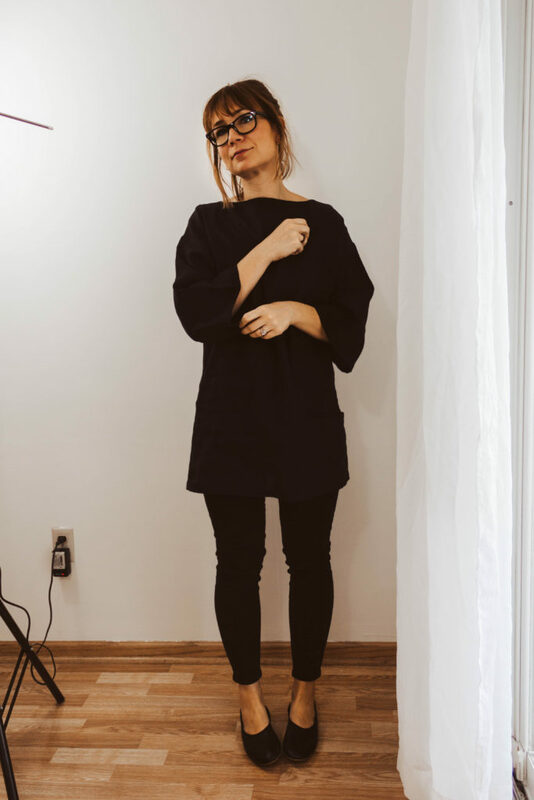 Also, as you saw from the title of this post, I’m labeling this an “affordable” ethical fashion look book. All of the clothes were bought from ethical brands, but cost less than $150… which I get is still expensive for a lot of people. But in the ethical fashion world, that’s quite a bit less than some other offerings. OH! and I do have other clothes besides these, but they’re all either thrifted or old so I thought I would keep this post to things that are still available. and this post was fun to put together for you guys. We’ve been talking a lot lately about comparisons, and the idea of “appreciate and release” so please take this post with a grain of salt. 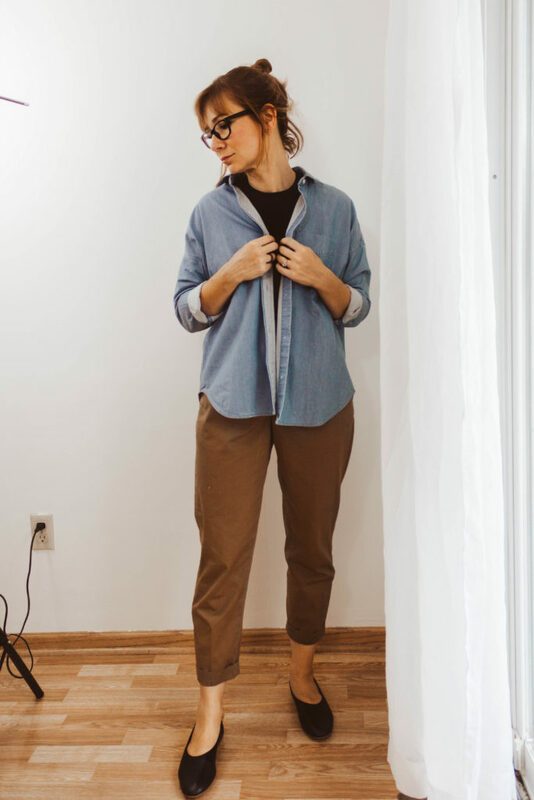 If you see an outfit you like in this look book, look at the clothing objectively before making any purchasing deciions. And maybe try looking to your own wardrobe! 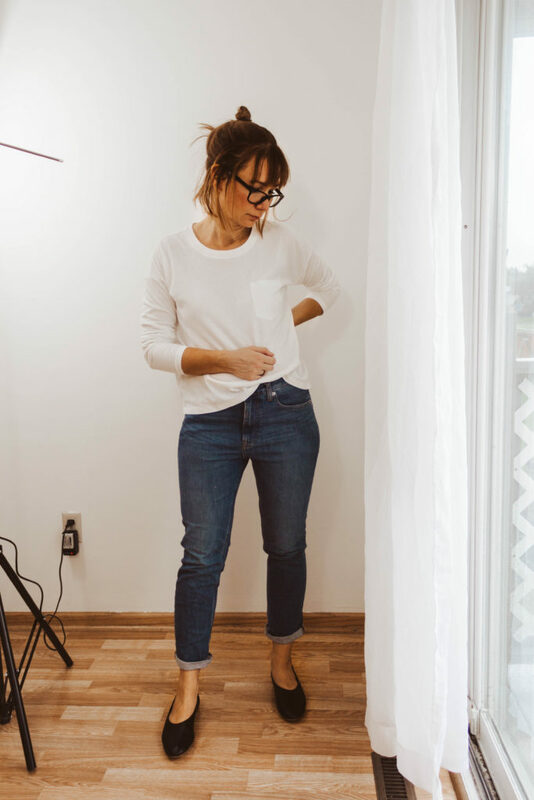 Do your own try on… maybe even take photos for your own personal look book (helpful to reference when you’re in a rush!). Now tell me… who’s excited for fall? 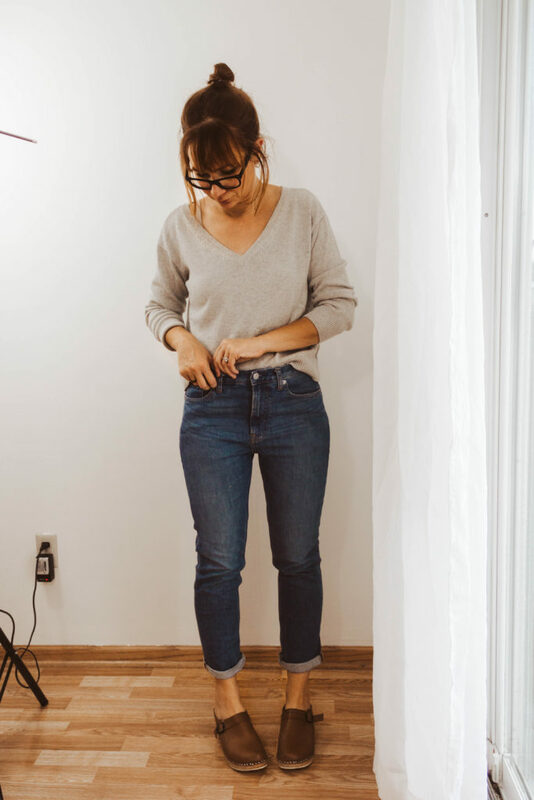 Have you pulled your fall clothes out yet, or is it still too hot? Still too hot for fall clothes, but I have pulled out my jeans and closed toe shoes! I need a week of mild weather before I bring fall out and today it was in the high 80s! Yes that’s definitely too hot! Wow this post is everything!!! So many great mix and match ideas! 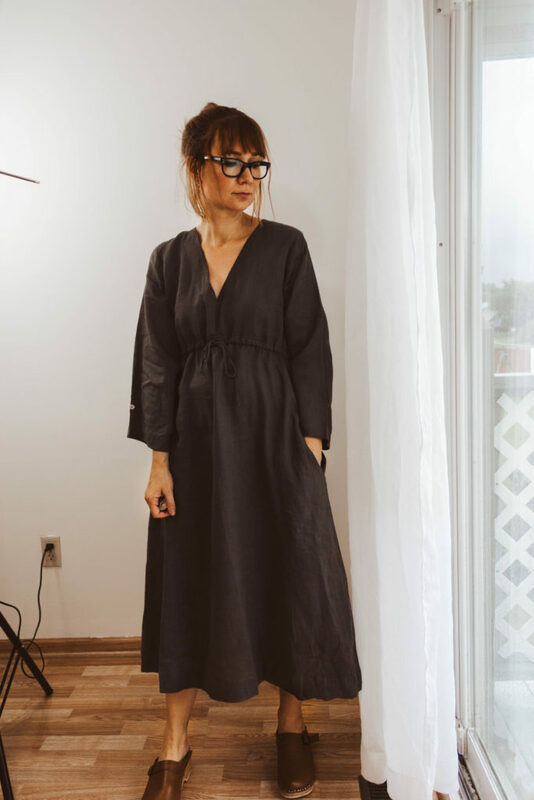 So much great affordable ethical fashion! I got so many great ideas. Thank you!!! ? Also I’ve been eyeing those black flats since they came out and actually need a pair of black flats and thugs post made me pull the trigger. Please keep posts like this coming! Love!! Thank you Jodie! I’m so glad it was helpful! I hope you like the flats… I kind of love them! Too hot here! But these are great ? So many great outfits Karin! I can’t wait for fall weather! I am switching my closet more and will track wears starting 9/21. It’s 90F lately in STL… But I’m hopeful. Oof that’s hot! Hopefully it cools down soon! I’m in love with this post and all the outfits! What you said about appreciate and release is a good reminder, especially as I saw a few things that made me itching to buy. Going to be pinning all of these for inspo and maybe do my own little try on. i never leave comments, but I read your blog all the time– and I just had to write and say this was my favorite post of yours yet! I loved the casualness and I got so much inspiration from looking at the outfits. No apologies! This is awesome! Thank you Sam! I really appreciate that! Love this! And your looks! I may stage a little try on session for the blog as well, I’m so excited to use some new pieces with my tried and true! LOVE this post and I am excited to keep reading into the future. So fun! I always love connecting with other twin mamas! Love these looks! 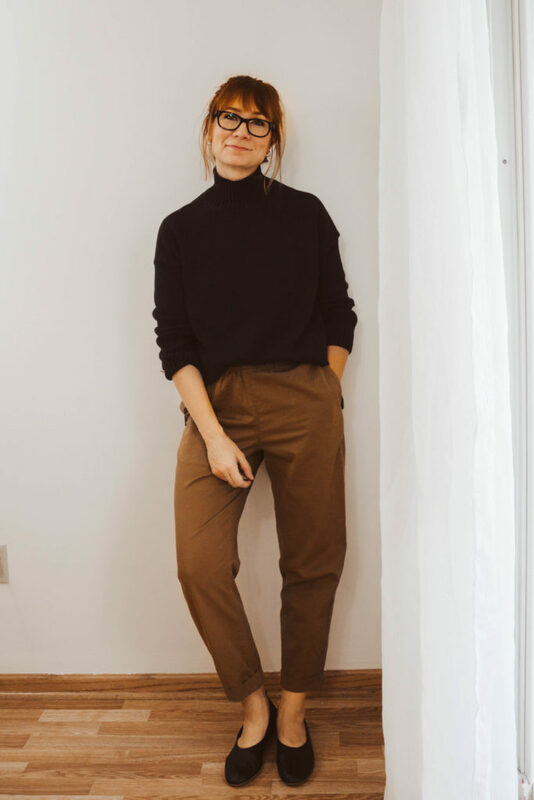 Two questions…the link for the black turtleneck sweater isn’t working…and are your clogs the light brown? They look quite a bit darker than the light brown you linked to but maybe it’s just the camera/computer/lighting? Thanks!! Hi Ashley! Thanks for letting me know about the link… it should be fixed now! And yes! the clogs are the light brown. SO many cute looks Karin!! I love the tunic over your Vetta pants. 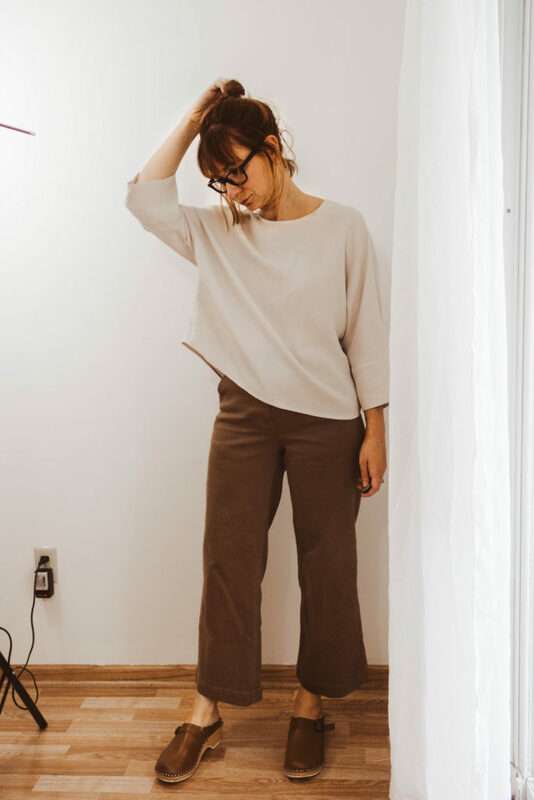 Thanks so much for posting your Fall Capsule I went through a huge purge about two years ago – I got rid of anything that didn’t fit, I didn’t love wearing or was beyond mending, re-dyeing or other repairs. It left with almost nothing so, I started slowly, consciously building my wardrobe again. 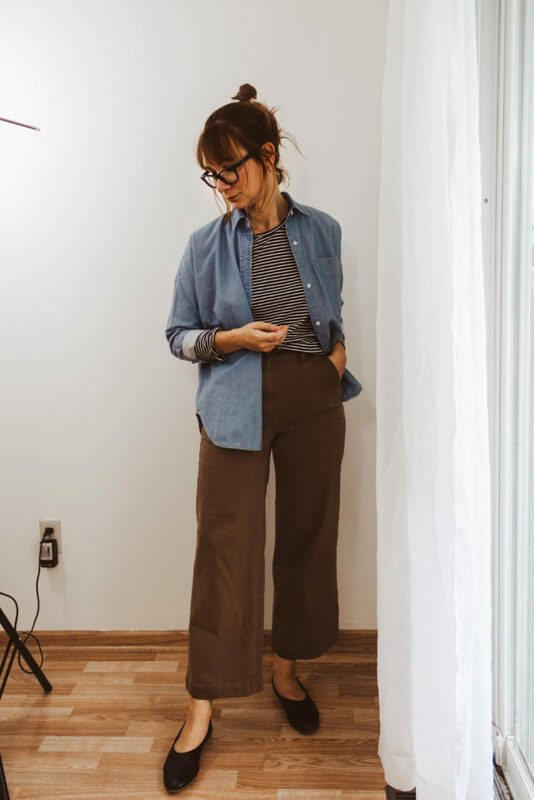 I am still missing some staples (examples: black denim, wide-leg pant, striped long sleeve). 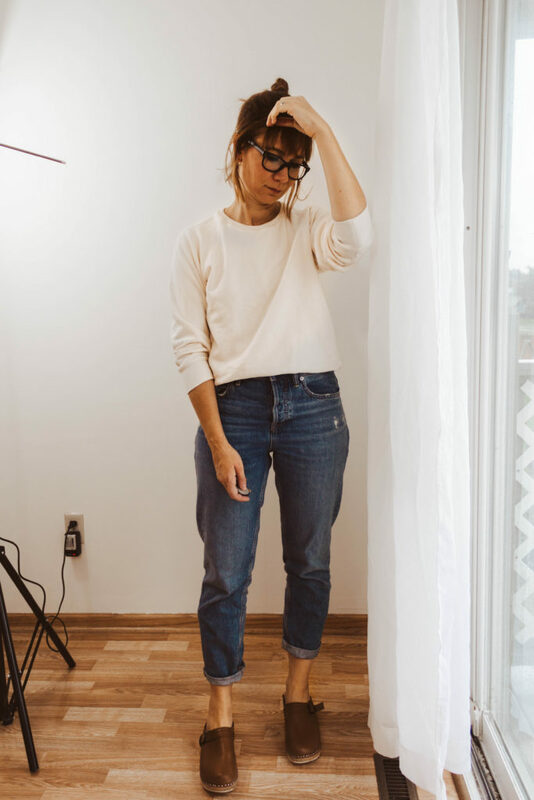 Building from nothing, I’ve come a long way, but, I’ve made some mistakes, too – investing in pieces that I love but aren’t great for mix and matching, more statement items or poor quality (despite being a high price tag!). It is so helpful for me to see how people pull together the clothes they have. 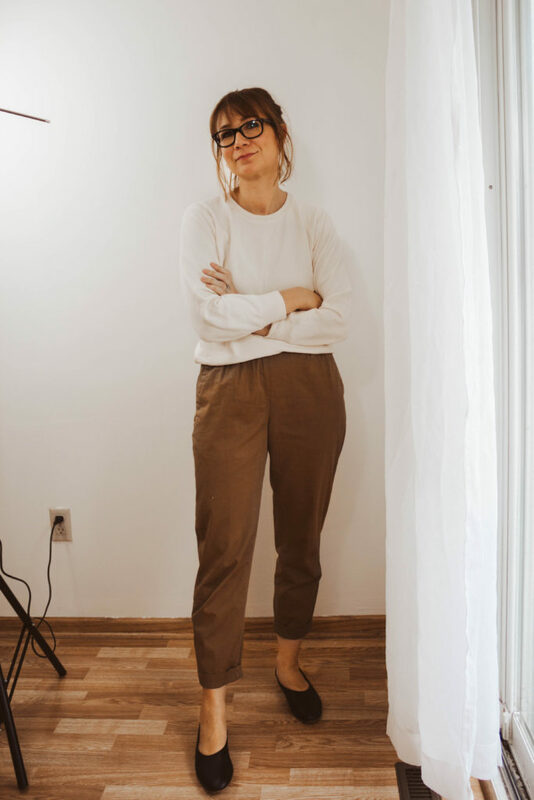 I did shop my own closet this past week and find that I’m able to be more creative with my mix and matching from drawing inspiration from others! 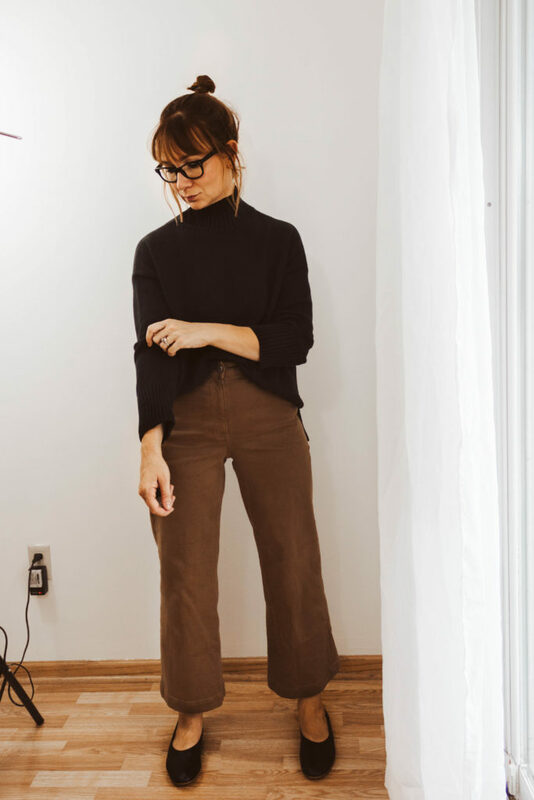 This post has confirmed – I already have a lot but I definitely want some wide leg pants for Fall 😛 Thank you!